We have already known that the HD 5200 “GT3e”, now codenamed Intel Iris Pro Graphics would be the flagship 4th generation Intel HD Graphics chip. 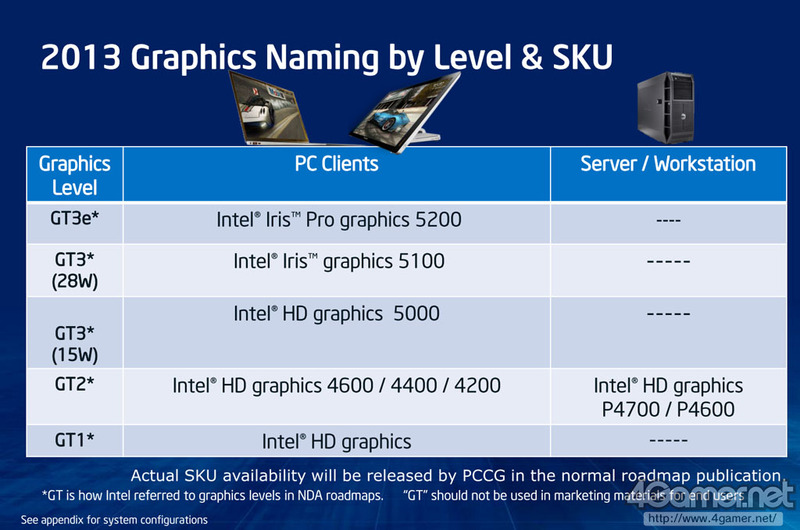 The Iris Pro Graphics chip would ship with high-performance notebooks in the mobile parts and low power yet compact NUCs (Next Unit of Computing), All-in-One PCs with the Haswell R-Series chips. The HD 5200 would feature will dedicated a large amount of the die to an onboard eDRAM package. 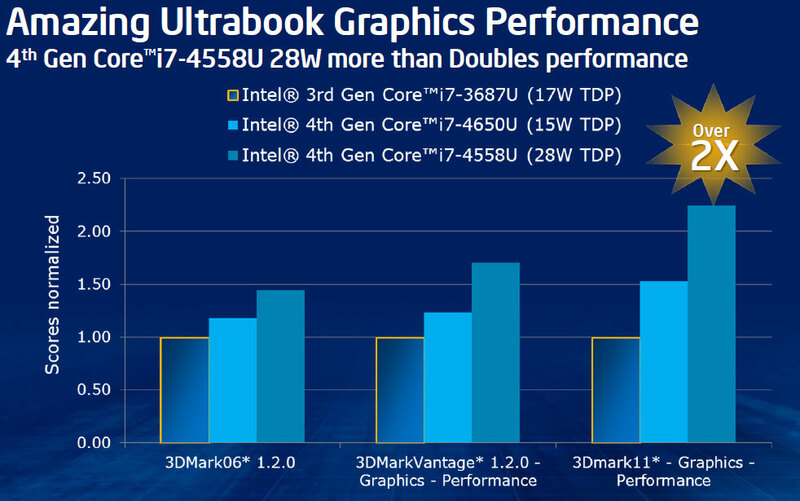 The L4 cache memory codenamed ‘Crystalwell’ would significantly boost the iGPU performance on Haswell equipped Notebooks by delivering increased bandwidth to the iGPU. 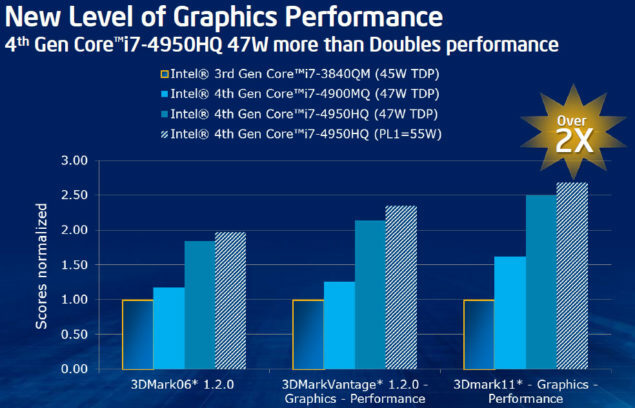 Performance of Haswell CPUs with the 4th Generation Intel HD 5200 graphic chips would be better than NVIDIA GT 640 and much better than AMD’s Radeon HD 6670 discrete graphics solutions. Following are the chips that would make use of the HD 5200 GT3e graphics chip. 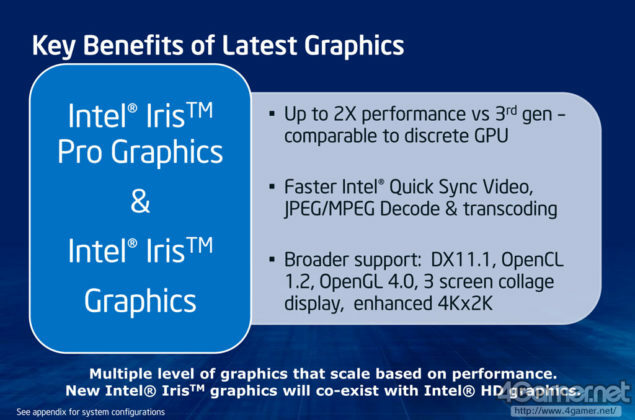 There would be atleast two variants of the GT3 Intel Iris graphics chip which, GT3 5100 that would ship with higher TDP Haswell chips and GT3 5000 that would ship with low TDP Haswell chips. Next up are the Intel HD Graphics GT3u or now known as the Intel Iris Graphic chips which come equipped in the HD 5100 series cores. The bulk of the low-power Haswell U-Series mobile parts for Ultrabooks makes use of these chips. The GT3 HD 5100 and HD 5000 graphics chip would ship with Intel’s second generation Ultrabooks and its possible that these would sacrifice clock speeds to maintain low power consumption on the efficient Ultrabook design. While HD 5000 series is also categorized as GT3, it won’t use the Iris brand but stick with the HD Graphics name. 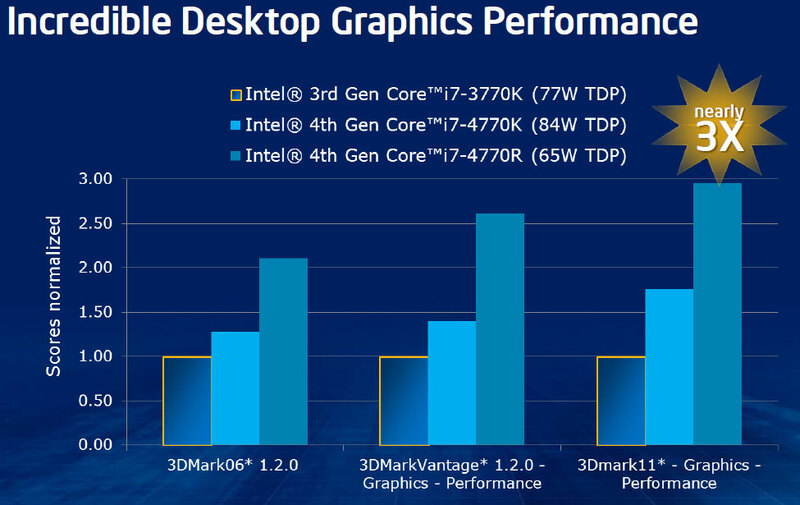 Performance of these chips is just on par with the Radeon HD 6670 while faster than the GT 630 GPU from NVIDIA. 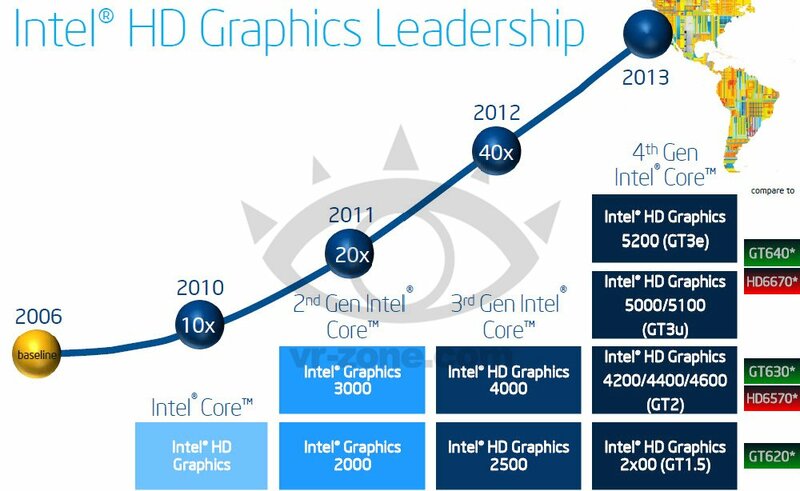 The Intel HD Graphics chip that comes fused inside the main Haswell CPU desktop and mobile lineup consists of the GT2 chip (HD 4600/HD 4400/HD 4200). Their performance is on par with the NVIDIA GT 630 and AMD HD 6570D GPUs. 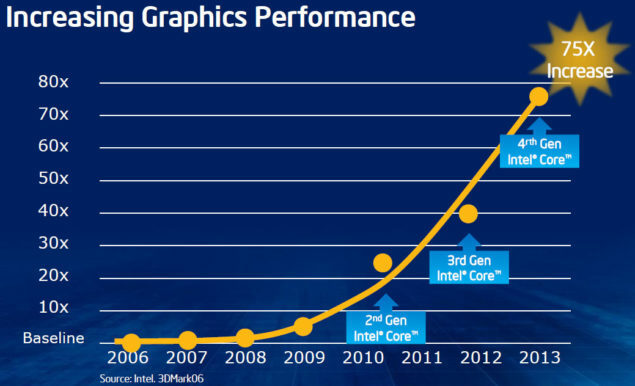 Finally, there are the GT 1.5 Intel HD Graphics chips which we have never heard of before. These low-end integrated graphic chips would be fused on the Pentium and Celeron processors making use of the Haswell core architecture. Performance wise, the GT 1.5 chips would match the NVIDIA GT 620 discrete graphics solution and would be branded with HD 2*00 naming scheme.